Are you doing anything for St. Patrick's Day? 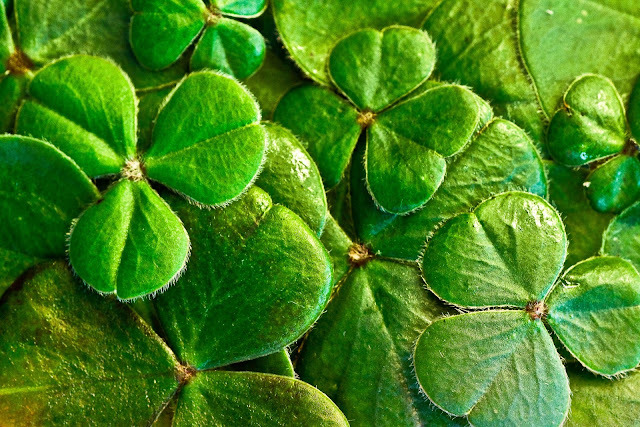 While I'm a full-blood Italian, I like to live by the phrase "everyone's Irish on St. Patrick's Day". I mean, come on, I am "Greenify-Me", after all. That said, I want to have a zero waste St. Patrick's Day too. I've always felt like holidays were especially wasteful, and (sadly) St. Patrick's Day is no different. A lot of people go out of their way to buy lots of green items: This includes green plastic cups, utensils, plates, and accessories. But where does it all go when the day's over? In the trash. So, in order to have a greener, less wasteful St. Patrick's Day, I've devised a few tips and tricks that will help. That way, we can all go green together (in multiple ways)! 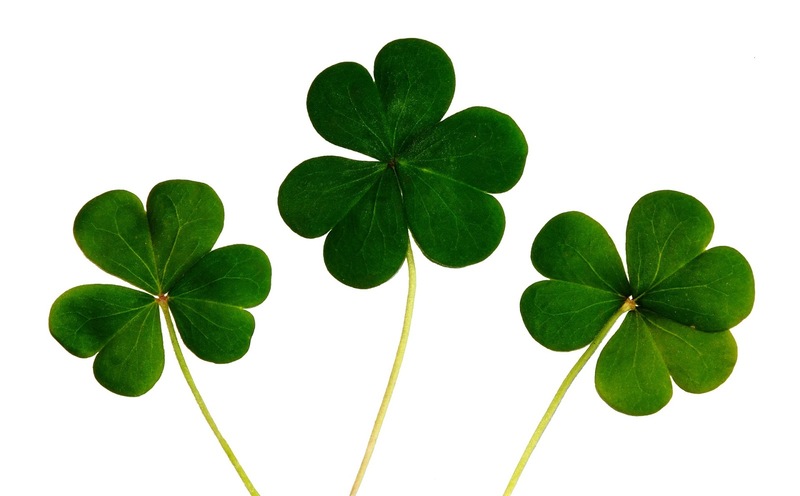 Here's how to have a zero waste St. Patrick's Day (and still have a good time). Craft brewery is a small brewery that produces beer in a traditional (or non mechanized) way. It's produced on a much smaller scale and is usually local to the area. Craft beer is better for the environment for several reasons: Craft brewers usually buy their ingredients locally, sell locally and engage with the local community. This means their beer isn't traveling miles just to get to their customers, and neither are their ingredients. The less time spent in transit, the less carbon emissions are produced. So, keeping it local really is better for the environment! The best part about local breweries is that you can put a face to the name. You can go into the brewery and see who's running it (not true for bigger beer companies). You can not only get to know the staff, but also ask questions about the beer. If you're curious about where exactly they source their ingredients, you can just ask. I'd say 9 times out of 10 they will be more than happy to take you back and let you handle, smell and taste the ingredients they use. Beer is essentially just water, grains, hops, and yeast, but odds are your local craft brewery uses high quality ingredients sourced organically and/or locally. I have a craft brewery in my community (located in Staten Island, New York) called Flagship Brewery. There are several restaurants that sell their beer, even in Manhattan. I could go to the brewery any time to pick up fresh beer, tour the brewery (for only $5 per person), or visit the taproom. The best part is, I know the beer has been brewed locally, making its carbon footprint a lot smaller. That's because it didn't travel miles to get to me, and it's made in smaller batches (which in and of itself creates less waste). This St. Patrick's Day, I'm going to try to get my hands on some of this beer! If you want to have a zero waste St. Patrick's Day, but you're not sure you have any local breweries near you, do a quick google search. You might be surprised at what pops up! Just swing by and pick up some beer from them, then bring it to any St. Patrick's Day event you're going to. Or, if you're going to the pub (or a restaurant), see if they have any local beer on tap. Give them a try instead of drinking the big name beer brands. You'll be supporting your local economy. As always, recycle any beer bottles you purchase (or hold onto them and find fun ways to reuse them). If, for some reason, you do not have a local brewery near you, try to find an organic beer company you can support. Here are 5 organic beers to look for and try (though there are surely more out there). 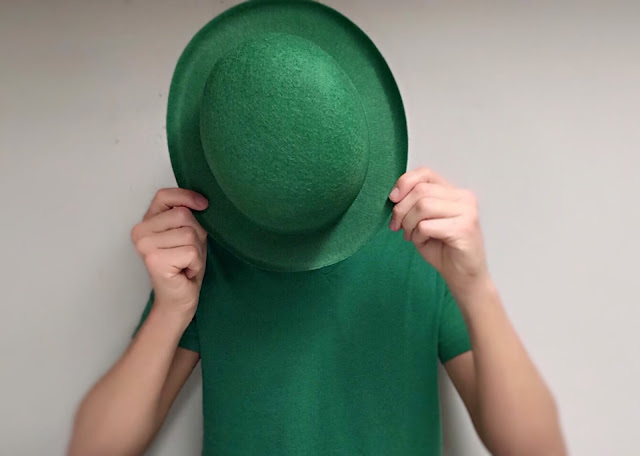 On St. Patrick's Day, everyone is pretty much wearing green. If you want to avoid being pinched by eager fingers, you should too. But don't use this as an excuse to go out and buy a brand new outfit. Fast fashion is far from zero waste friendly: Americans alone throw out over 68 pounds of textiles per person per year. That's a lot of waste. To make matters worse, clothes made out of synthetic fibers like acrylic, nylon and polyester release microfibers into water every time they're washed. Since microfibers are too small to be filtered out by waste treatment plants, they usually end up in our waterways and oceans. There, they wreak havoc on marine animals and the environment. This is a big issue too: According to one study, microfibers are responsible for 85 percent of shoreline pollution across the globe. This pretty much means plastic fibers are getting into fish and shellfish too, so you're literally eating plastic whether you know it or not. That's absolutely insane. So, what can you do to help? Simple: To have a zero waste St. Patrick's Day, use what you already have. Instead of going out and buying a brand new green shirt, stick to what you already have. Comb your closet for some green attire: Have a green dress, or even green socks you could wear? Go for it. Even just the smallest showing of the color will get you in a pinch-free zone. And, to reduce the amount of microfibers you put into the environment, try to avoid washing it after just one use (unless you spill something on it of course). If you must buy a new green shirt, shop for ones that use natural fibers like organic cotton, wool, or hemp. Here are 10 sustainable clothing brands that are relatively affordable, sustainable and fair. Wash on a full load - this will result in less friction between clothes, which produces fewer fibers released. Use a colder wash setting - Higher temperatures can release more fibers (and actually damage your clothes). Dry spin clothes at low revs - Higher revolutions increases the friction between clothes, which produces more microfibers. Place lint in the trash - Don't wash it down the drain (as this will let it pollute waterways even quicker). Pin this image to save it for reference! Are you hosting a party for St. Patrick's Day? 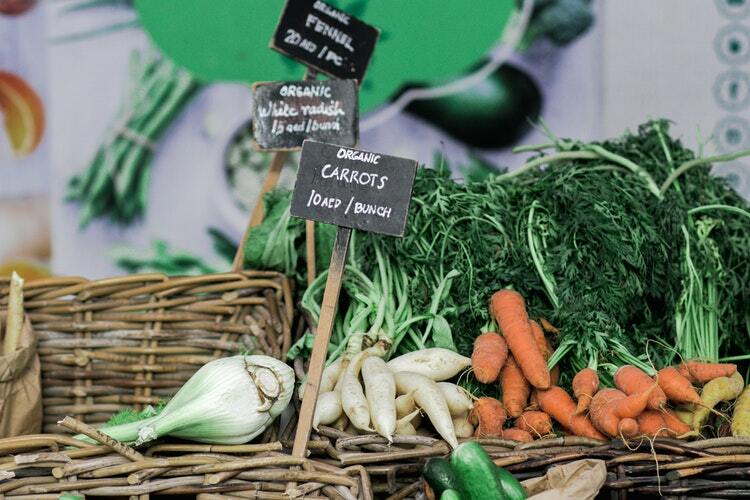 Challenge yourself to use only local farmers market produce. Buying local foods allows you to meet with the people who grow your food. You can ask them questions about their farm, where they're based, and their growing methods. It creates a sense of community, plus cuts down on transportation emissions. After all, most foods are imported from several miles away. Locally sourced food doesn't take nearly as long to get to you, drastically reducing the time it has to sit in transit. This results in fewer carbon emissions altogether. Farmers market food tastes better too. It gets to you quicker so that means it's fresher, unlike grocery store food which has been sitting on the shelf for god knows how long. Plus your food will be in season (no strawberries in the dead of winter here), making it all the better for your health and the environment. If you need meat for your meal (corned beef anyone? ), you might be able to get it at the farmers market too. At mine, there's a butcher who comes every week and sells all sorts of meats. Just walk up to them and ask them if they have any corned beef (or any other meat you need). If they don't have what you're looking for, head over to your local butcher instead. 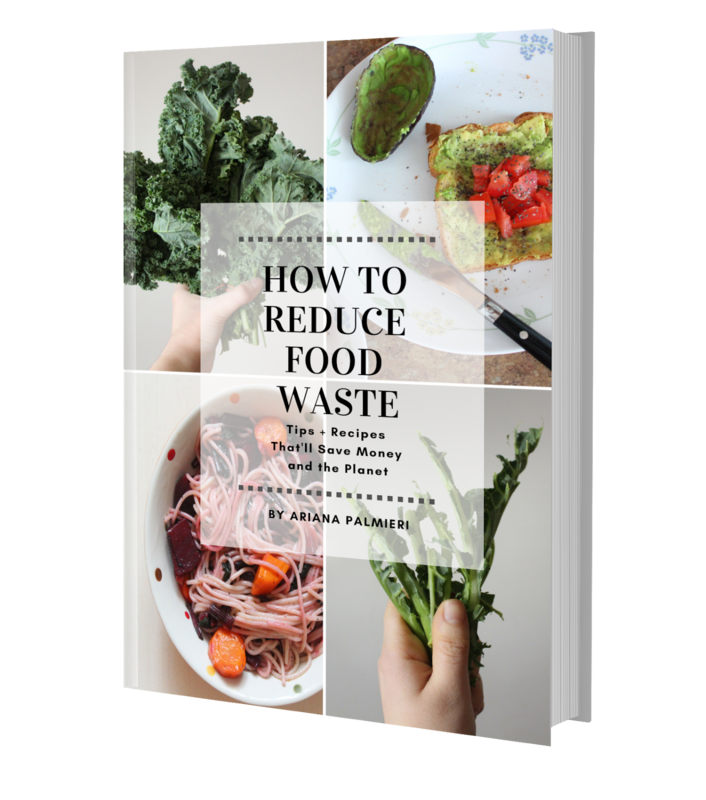 If you can't find a certain item at the farmers market you need for a specific dish, try to find it in the organic section of your local grocery store. That's definitely second best, seeing as organic food isn't treated with pesticides. It's also grown ethically. If you need any dry ingredients, try to get them at a bulk food store (here's how to use bulk bins without creating any waste). No matter how you decide to buy your food, make sure to get it package free. Whenever I go to the farmers market or grocery store, I make sure to take at least two big tote bags and 5 or more produce bags. I just put the loose fruits and veggies into my produce bags, pay for them at the cash register, and place them all into my big tote bags. I avoid any produce wrapped in plastic (at the farmers market I never have to worry about this - I usually see this at grocery stores). 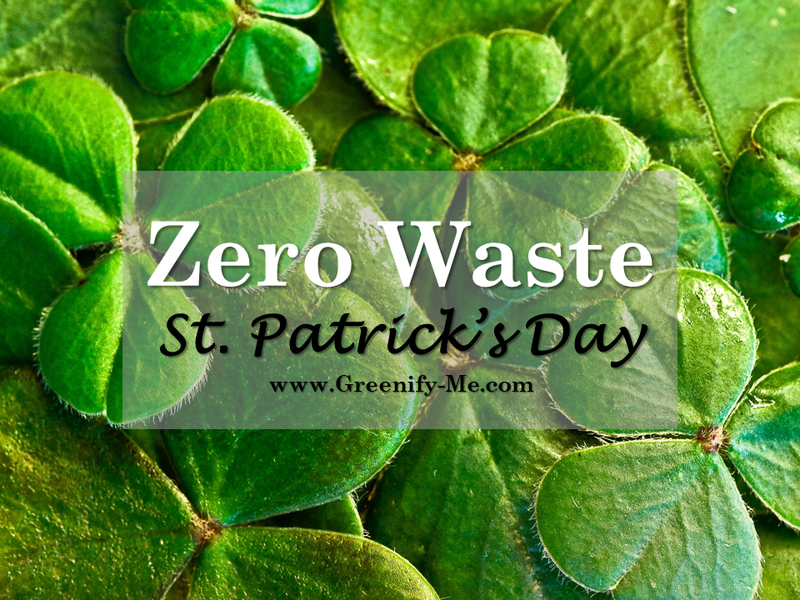 Avoid as much plastic as possible and you'll really have a zero waste St. Patrick's Day. Are you heading to a parade? Got invited to a party? Getting ready to hit up the bar? 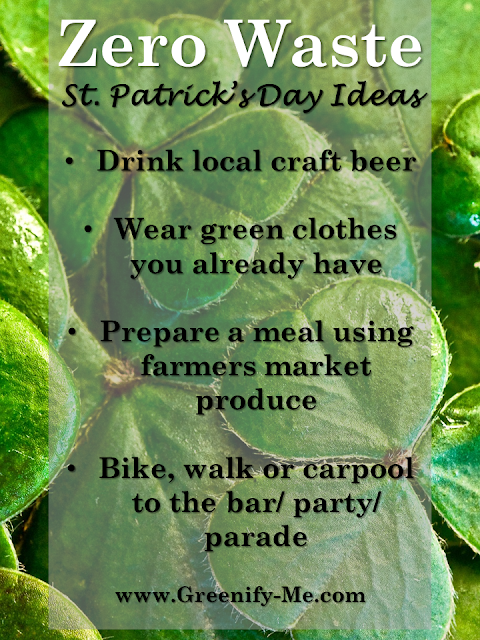 No matter what you're doing for St. Patrick's Day, make sure you're getting there sustainably. Why not try walking or biking to the event? Not only will this save you gas, but it will also slash your greenhouse gas emissions. 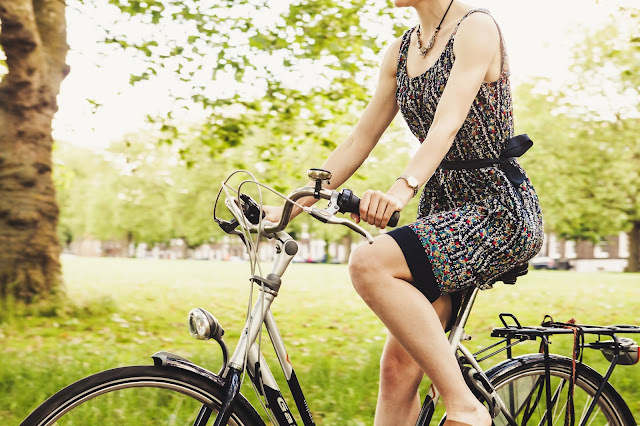 Biking and walking are definitely healthier choices too. 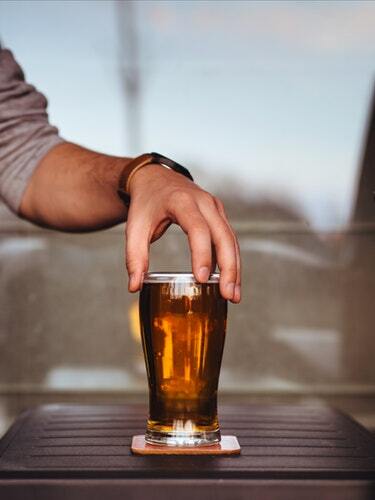 If you're heading to a bar, look for one that's closest to you so it's easier to walk/bike to. If the destination is too far to walk or bike to, try using public transportation instead. This is great for several reasons: You can let someone else do the driving, it's better for the environment, and you can learn more about the MTA (Metropolitan Transportation Authority) routes. I used to know very little about the MTA system until I became a college student: I took the train to school every day so I became super familiar with the train route! I'm able to go anywhere I please using the train now. You can do the same by using the public transportation in your area: It just takes a little practice, dedication and research. You can also use your phone to calculate the best route to take via public transportation to your destination. Google maps is my best friend! If you must drive, don't drive alone. Try carpooling with a bunch of friends or family to the event. You'll be doing your loved ones a favor and reducing the amount of cars on the road. This will ensure you have a more zero waste St. Patrick's Day. If all those tips weren't enough, here's a list of more ways to green your zero waste St. Patrick's Day. If you're hosting a St. Patrick's Day party, use reusable cups, plates, and cutlery. 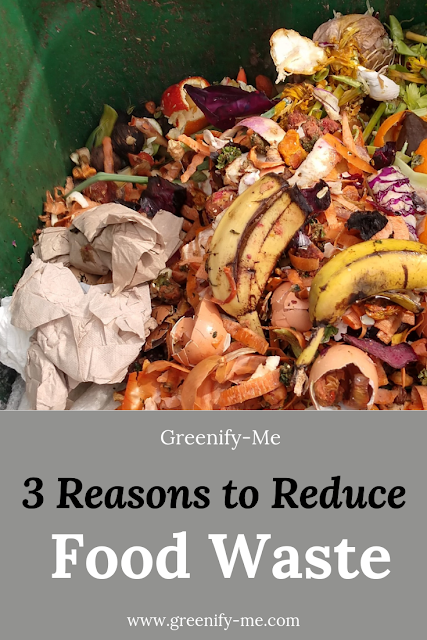 Avoid purchasing green disposables: These are all marketing tactics to make you spend more. Instead, use the eating utensils that you already have in your home. You'll save a buck and waste less. If you're worried about the mess, just pop everything into the dishwasher (or enlist loved ones to help you clean up). If you're going to a St. Patrick's Day party, bring along your own set of reusable items (ex: utensils, napkins, and a cup). You can also ask the host if they'd be willing to let you use a reusable plate/cup. Offer to clean it for them yourself by the end of the night and keep your word. I recently did this at a family event for the first time and it went over pretty well! Never be afraid to ask. Avoid buying cheap St. Patrick's Day accessories. These are likely to break and go straight into a landfill. Instead, use any green accessories you already have lying around (perhaps from last year, or ones you use on a daily basis). Avoid buying green makeup just to use on this one day. Use whatever makeup you already have instead. The conventional green makeup marketed for St. Patrick's Day is loaded with questionable ingredients anyway. 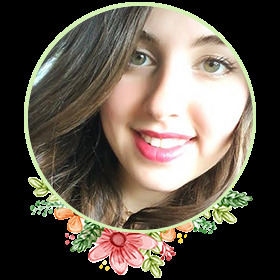 If you must buy green makeup, look for natural and organic makeup products packaged in reusable containers (Etsy is a good place to search for this). If you want to dye something green, try making DIY green dye using spinach. Gather at least 1 cup of spinach, place it in a small saucepan and cover with twice as much water. Place over medium heat and bring to a simmer for one hour. Turn the heat off, then let the water cool to room temperature. Strain the cooled dye into a glass container. You're ready for coloring! Talk about a zero waste St. Patrick's Day! What are some ways you'll be going green this year?